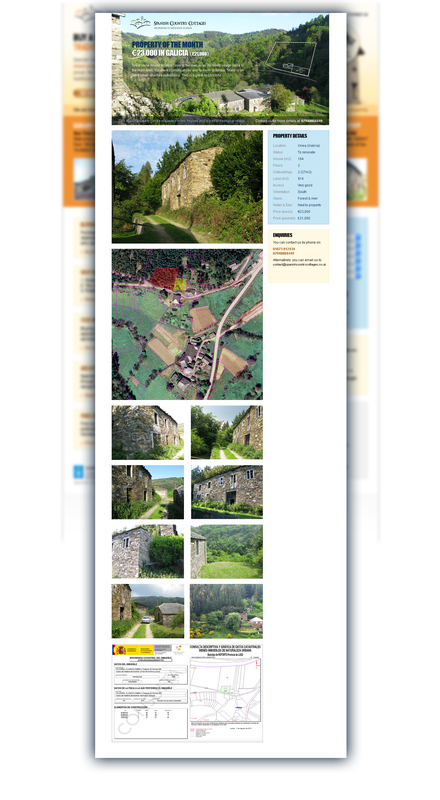 ﻿ Spanish Country Cottages: Buy Rural Inland Spanish Traditional Stone Properties, Cottages, Houses, Farmhouses, Villages and Barns for sale to renovate in Taramundi, Eo Valley, Asturias, Galicia, Cantabria and Catalonia in northern Spain (Green Spain) for investment, holiday or renting. Renovating, renovate or renovation of Country, Rustic and Cheap Spanish Propety, Cottage, House, Farmhouse, Village and Barn to buy or to sale for renovation in Northern Spain. Find out more about us in the SelfBuild & Design magazine, Homebuilding & Renovating magazine, Living Spain magazine, A Place in the Sun magazine National Homebulding & Renovating Show, SelfBuild & Design Show and A Place in the Sun Show.